September has continued where August left off with another record-breaking month. 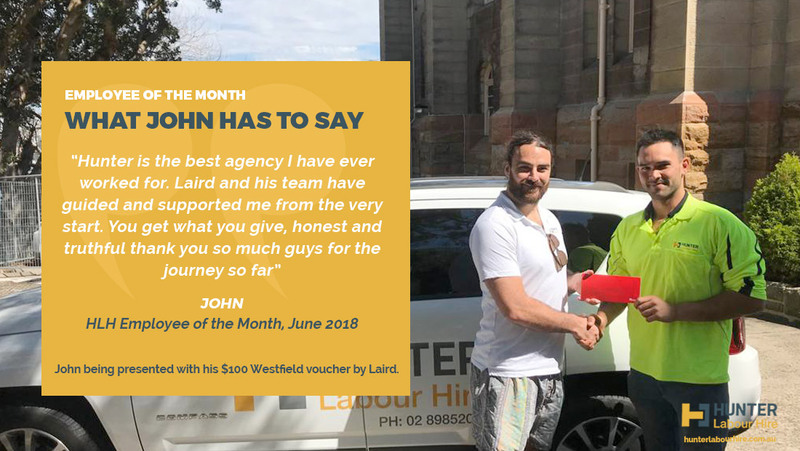 The team here at Hunter Labour had a hard time picking the winner this month due to the quality of guys we have now but after much deliberation we have settled on a winner and that is Johnathan Van Steenkiste. John has been with us for 4 months now and has been working for the same client since day one. John is a dream employee with all his timesheets signed and in on time. John’s time keeping is second to none he turns up on time he works long hours, locks the site up and is extremely skilled. Not only that John is always a pleasure to deal with on the phone. John has proven that reliability and good work ethics will always be recognized by us and rewarded with a $100 Westfield Voucher. 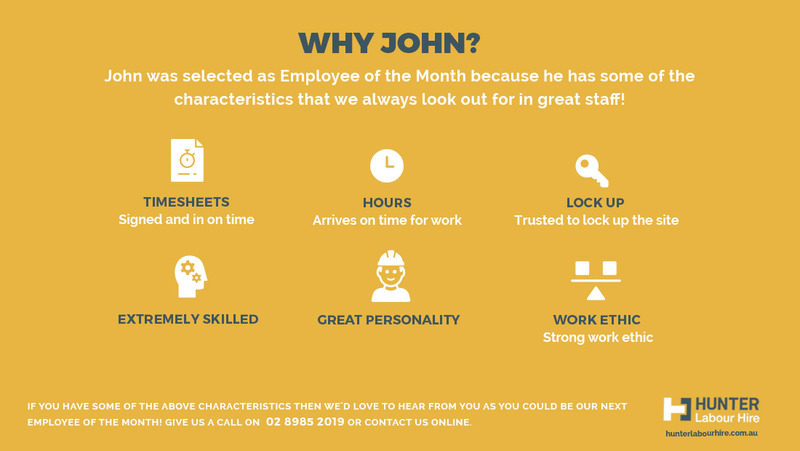 John’s response to being told he was awarded employee of the month was very much reflective of his personality and he thanked us for making him feel appreciated. 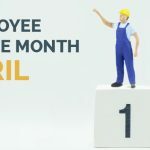 When calling the client yesterday to get a statement about John the client told me that he had told John that he was going to get employee of the month due to his hard work and good attitude on site. But, it was a hard choice as working alongside John we have another stand out employee in Juan so who knows it could be a clean sweep for that site next month. What the client had to say about his labour hire, “You’ve given me two very good workers they are reliable and extremely skilled couldn’t have a asked for better guys”. “Hunter is the best agency I have ever worked for. Laird and his team have guided and supported me from the very start. You get what you give, honest and truthful thank you so much guys for the journey so far”. Are You The Next John? 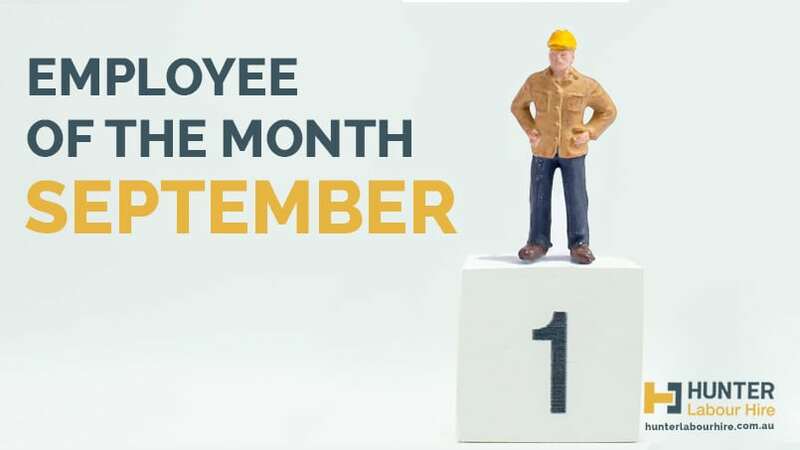 Hunter Labour Hire are always on the lookout for our next employee of the month if you think you’ve got what it takes please give us a call we have multiple roles available and if your anything like John you will always be kept busy in work. Call today on 02 89852019, apply online or send your resume to jobs@hunterlabourhire.com.au.